On Wednesday through Friday (April 29 – May 1) and on Sunday (May 3) from 8 p.m. until end of service, regular Red Line MetroLink service will end at College Station. Customers who normally park at the Shiloh-Scott Station are encouraged to park at the College Station on the affected dates to avoid delays after 8 p.m.
On Wednesday and Thursday (April 29 & 30) from 10:30 p.m. until the end of service, MetroLink will operate on a single track at the Clayton and Forsyth MetroLink Stations. 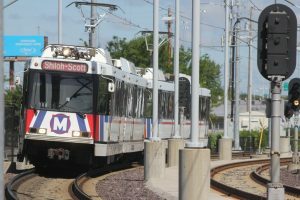 On Wednesday, passengers traveling in both directions will need to board MetroLink trains from the westbound platform. On Thursday, passengers traveling in both directions will need to board MetroLink trains from the eastbound platform. 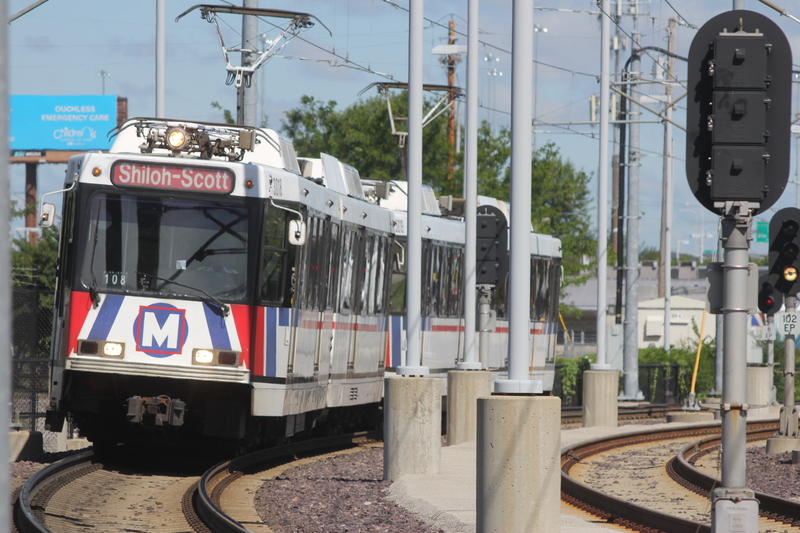 On Friday (May 1) from 11:30 p.m. until end of service, and Saturday and Sunday (May 2-3) from 8 p.m. until the end of service, MetroLink will operate on a single track at the University City-Big Bend, Skinker, Delmar Loop and Forest Park-DeBaliviere MetroLink Stations. Passengers traveling in both directions will need to board MetroLink trains from the eastbound platforms at these stations.